Domino had a string of number ones and more than 30 top 40 hits. His music is also credited as a key influence on artists during the 1960s and 70s. 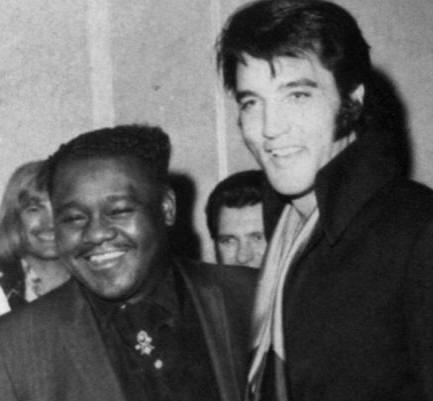 Sad news about the passing of Fats. Of all the famous r&b and rock-&-roll artists of the 1950s, only Little Richard and Jerry Lee Lewis remain. Great. I just love him. His songs. And Elvis loved him. Rest in peace, Mr. Domino. Sad news. One of the rock 'n' roll pioneers I had a real soft spot for. He was probably more shy an humble than Elvis was yet look at his success. 'Gonna Be a Wheel Some Day', 'Walkin' to New Orleans' and 'Be My Guest' were my Fats top 3. RIP I loved his songs and his personality. His Blueberry hill was awesome! R.I.P. I remember hearing his voice and music coming over my parents AM Radio in the 1950's, while my mother was ironing clothes.